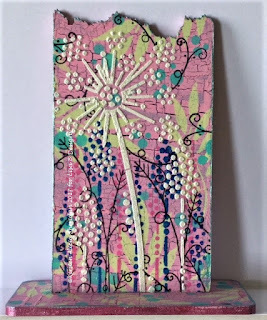 Altered MDF Uprights: PaperArtsy meets Structure Paste! I wanted to add some texture to the smooth sections left over, so I coated all the MDF in Café Crème Rusty Patina and let dry. The next step was to make a 'dirty wash' effect over the whole piece. I used a small amount of Slate Grey Americana Acrylic Paint and mixed into a wash with some water. I spread the wash over the piece, letting the water sit in the brick spaces to add depth and dimension. Now that my background was complete, I started to think about the feature elements. I used some more Structure Paste and spread through the PaperArtsy PS060 Stencil. 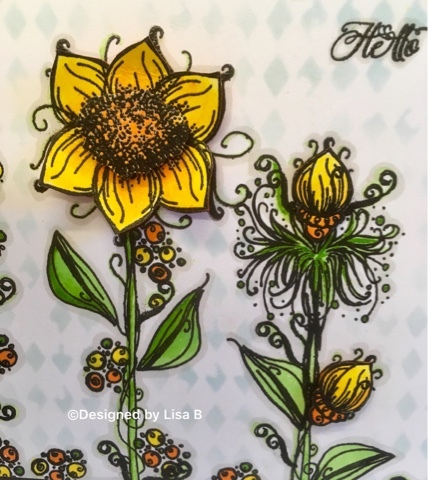 Once dry I coloured the flowers with some markers from my stash and added some Stickles. Where I felt there were gaps, I stamped some little sprigs from the Kay Carley EKC05 Stamp Set in Black and Green Archival Ink. 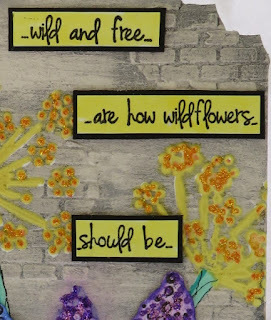 To add some more dimension and layering, I also stamped and coloured some of the flowers onto Super Smooth Card. 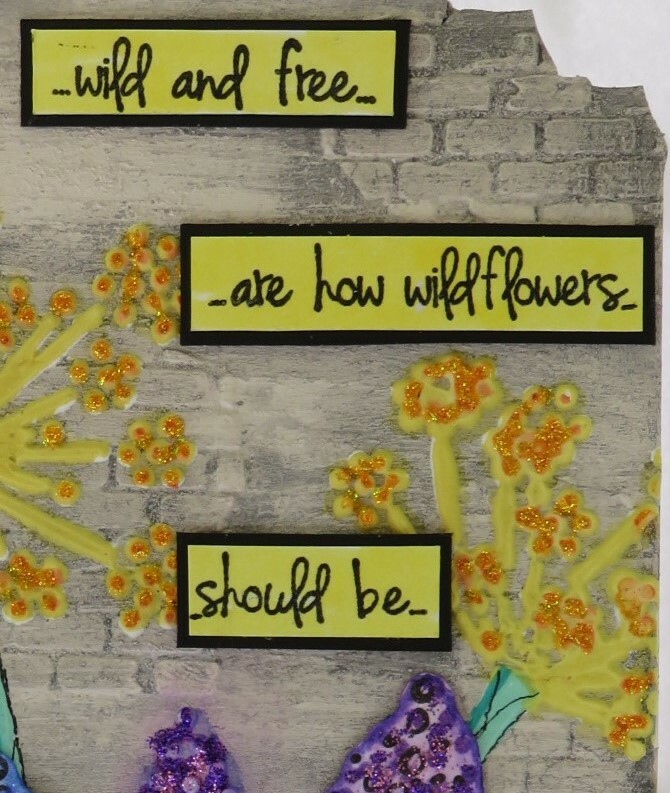 Once these were cut out, I used my embossing tool to shape them and some 3D glue to adhere. 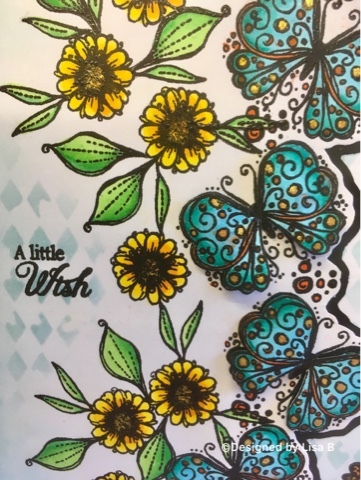 The final touch was a sentiment from the Kay Carley EKC07 Set. There we have it! 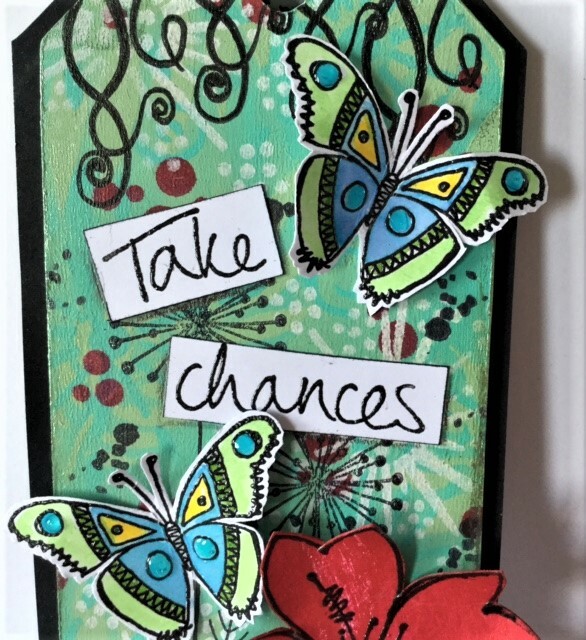 A small piece to give to someone rather than a a card. That way it is something that can stay on display! 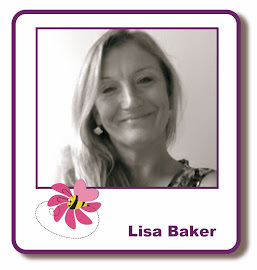 Lisa is taking bookings for the next two workshops at Grove Green. You can find the information about them HERE and there are still places on the July classes, information HERE. She is taking the mobile shop to the Barton's Point Model Flying Spectacular on July 8 and 9, she'll be demoing on both days, so if you fancy a fun family day out, that's the place to be! 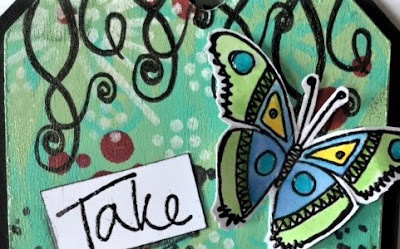 Labels: craft classes, Eclectica by Kay Carley, Imagination Crafts, Lisa B Designs, Maidstone, Martina Tidball, PaperArtsy, Rusty Patina, structure paste, That's Crafty! Hello all, Lisa here with my final scheduled post and my last two cards for June. I'll be back from Spain by the time you read this, but I wanted to get ahead and not have to worry about doing a blog post when I got back. 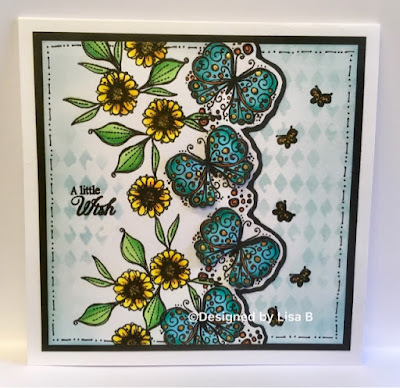 The Polkadoodles stamps I used on these cards sold out at the June classes, but you could always use different stamps - PaperArtsy, for example - to create a similar look. 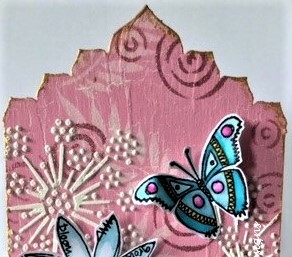 I stamped the butterflies on to the card, then cut around them, leaving a border. 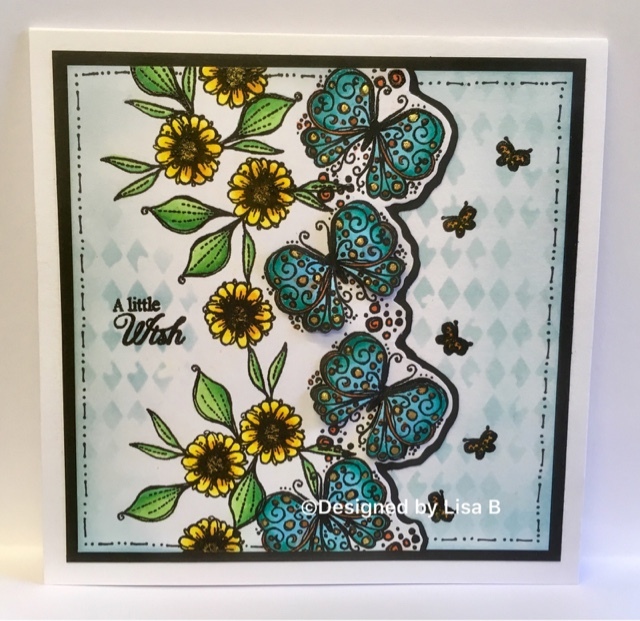 I stamped the butterflies again on to scrap white card, colouring them in and cutting them out so I could layer them on top of the base card. I'm taking bookings for the next two workshops at Grove Green. You can find the information about them HERE and there are still places on the July classes, information HERE. Labels: craft classes, Distress Inks, Lisa B Designs, Maidstone, PaperArtsy, Polkadoodles, That's Crafty! 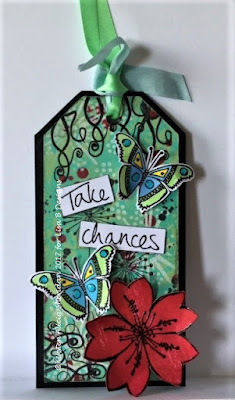 I applied Bluegrass Green & Baby Blue Americana Acrylic paint to white card with my fingers & when the paint was dry I applied Americana paint Cherry Red and Pistachio Mint through PaperArtsy stencils PS006 & PS001. 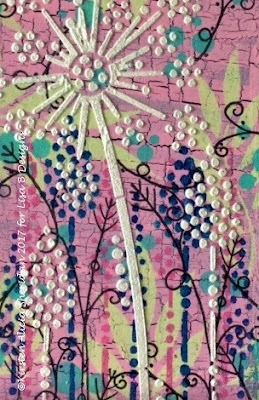 The next step was white gesso through PaperArtsy stencil PS060. 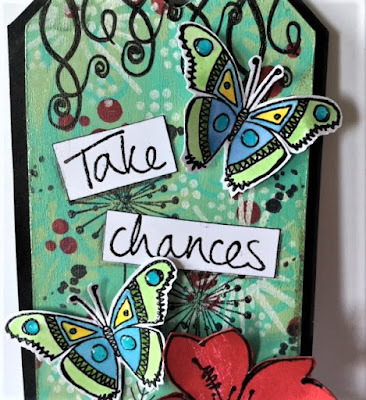 I stamped the butterfly from PaperArtsy stamp set JOFY50 twice onto white card, coloured them with watercolour pens, cut them out & attached them to the card, along with the words from the same set. 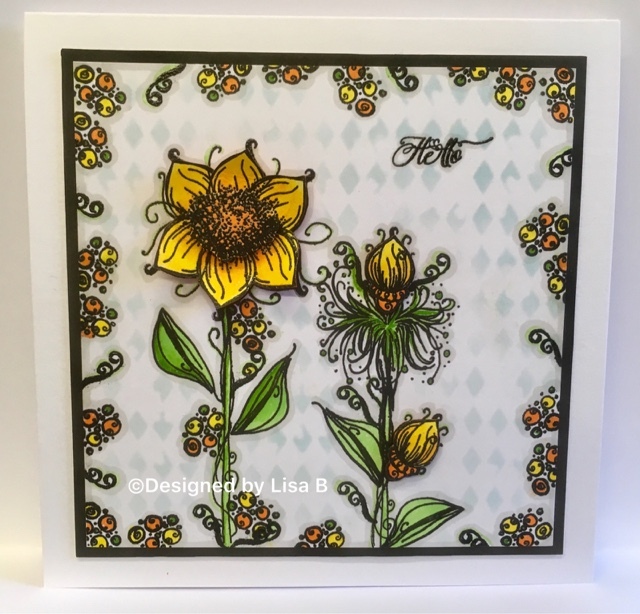 The red flower is the large stamp from JOFY32, it was left over from another project so I decided to use it. Happy Saturday to everyone, Kirsten here. How have you been coping with the heat?? Thank goodness for fans & cold water, is all I can say!! 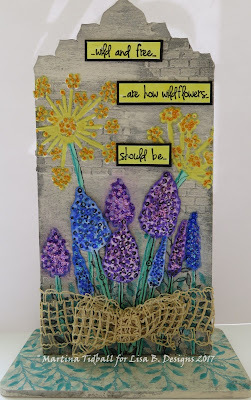 :-) Due to various problems, technological & otherwise, I haven't been able to do my Monday blog posts, so I thought I'd do a couple of Saturday posts to show off the projects I made for Lisa's PaperArtsy workshop at the end of May. My substrates are That's Crafty! 's wonderful new MDF uprights. We're all crazy about these. They're such good quality, lightweight but sturdy, come in a variety of great shapes & they make great gifts - there are smaller ones too, which would make a nice change from a card. 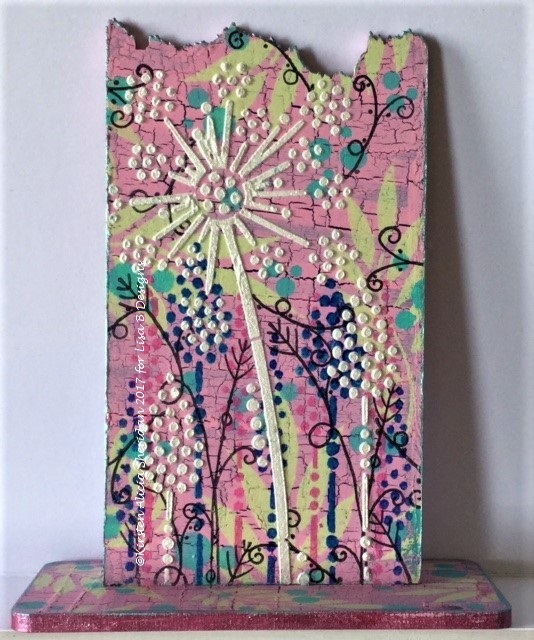 I painted the Jagged Edge upright with black gesso first, when that was dry I painted on a layer of Imagination Crafts' Crackle Medium and when that was dry I painted Baby Pink Americana paint - in the opposite direction so that the cracks went across the upright, instead of down. When that was dry, I replaced the stencil & applied Pearl Starlights over the Structure Paste. Crackle Medium, followed by Baby Pink Americana paint. 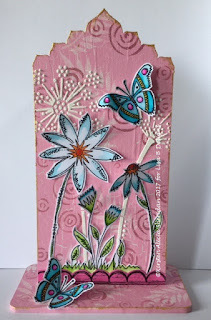 That's it from me for now, I'll be back on Monday with another of my PaperArtsy projects. Have a great weekend.